Scoliosis is a sideways curve of the spine that causes stiffness and pain. People with scoliosis have a sideways curve in their spine that makes an "S" or "C" shape. Scoliosis is a sideways curve of the spine that causes stiffness and pain. It is called an idiopathic disease because the cause of it is unknown. Scoliosis is more common in females and begins in childhood. However, merely two percent of the population is afflicted. If it is detected early, scoliosis treatment will prevent it from worsening over time. Scoliosis is derived from the Greek term meaning curvature. People with scoliosis have a sideways curve in their spine that makes an "S" or "C" shape. The vertebrae can rotate at the thoracic level of the spine causing this curve and resulting in a hump near the rib cage. If the curve is more than 60 degrees it is considered serious. Usually this curve makes the waist or shoulders uneven. And unlike the normal curvature of the spine, adjusting your posture will not correct the problem. 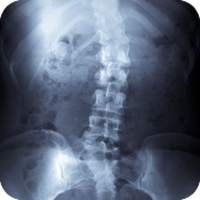 In some instances, the degenerative diseases of the spine can cause scoliosis. Osteoporosis is when the bones soften and usually occurs in older people. This softening can cause the vertebrae to bend and shape the curve causing scoliosis or kyphosis (round back). If not treated properly, severe back pain, deformity, and difficulty breathing can be some symptoms that will arise. Chiropractic care can help improve this condition. We look at your overall health examining your spine as well as other factors of your lifestyle. To help identify the problem's cause, we will discuss symptoms and previous injuries, your family's health history, and recreational and work-related activities. Most exams for scoliosis include the Adam's Forward Bending Test and have been adopted by many schools, whereas they test for this in physical education classes. It requires the person to bend at the waist as someone views the spinal alignment. If there is an abnormal prominence or hump we can help you. We will measure the length of the legs to determine unevenness. We also perform a range of motion test that measures the degree to which the patient has mobility at the waist. If needed, we will refer you to a specialist for further scoliosis treatment. An orthopedic brace can be used to prevent the curve from worsening and does not limit physical activity. Moist heat will help alleviate some pain. In extreme cases surgery may be required but only after the continuous observation has shown that a brace is not helping. Spinal fusion and instrumentation is a surgery specialized for people with scoliosis whereas rods and hooks are inserted to help align your spine and prevent further curving. Regular visits to observe the progression of scoliosis, are an integral part of living a full and happy life. Scoliosis can be treated in various ways to help alleviate pain and restore normal functionality. Regardless of the treatment used, physical therapy may be added to scoliosis treatment to increase muscle strength and mobility. If you have any questions about your physical limitations, please contact us. "I was recommended to see the doctors at Physical Synergy for my right knee pain by a friend. I have been going to Physical Synergy for about 3 months now, mostly for my right knee pain. I would like to say that my knee pain is gone and now working on strengthening the muscles around my knees so that it doesn’t come back again! I have seen their professional team for other musculoskeletal issues as well. They are all very friendly, helpful and attentive to your pain/issues you are having."